Bringing the family? This is the Cabin for you. Each cabin has it's own room in the bathhouse which you can keep locked. You are not sharing it with other campers. 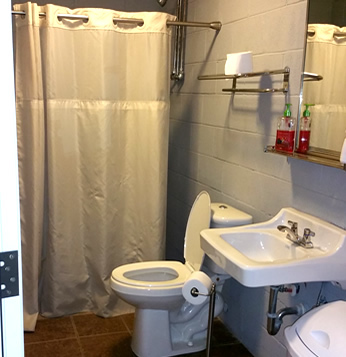 Toilet, sink, shower, mirror, rack and wall hooks.